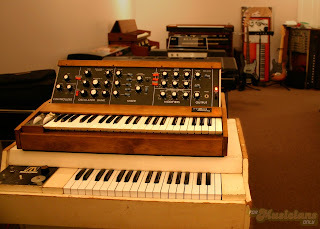 Here's a project at the FMO Gear Shop that we haven't discussed all that much, especially considering how cool it is. 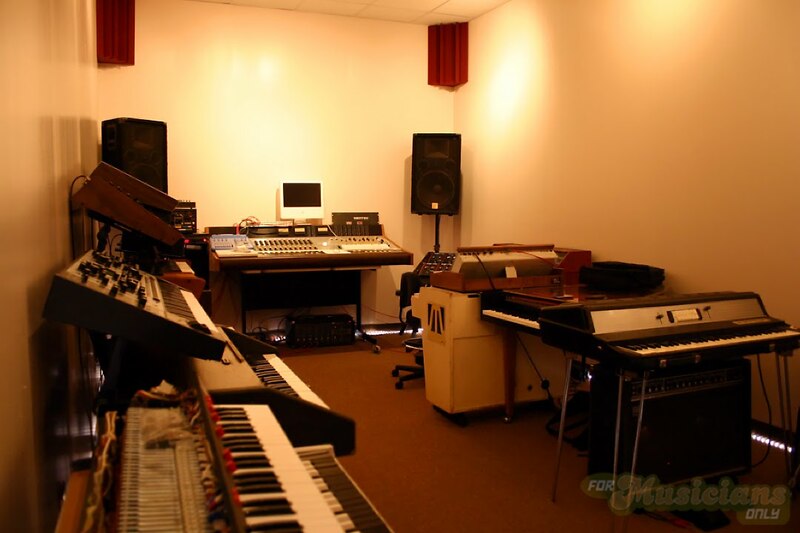 It's our Vintage Keyboard Studio. I've been working on the studio for almost two years with "Keyboard Mike" Thompson. 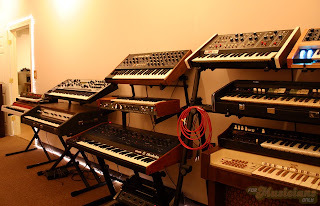 We've rearranged the studio several times since we started, usually when a new vintage keyboard or analog synth has been brought into the fold. I wish I had thought to document every incarnation, though we have taken a LOT of nice shots of various vintage keys. These are some pictures I took of how we had the studio set up this past May. I got the idea for the studio a long time ago, and moving into the FMO Gear Shop gave me the first real opportunity I've had to actually try it out. We started off doing a lot of repairs and restorations. 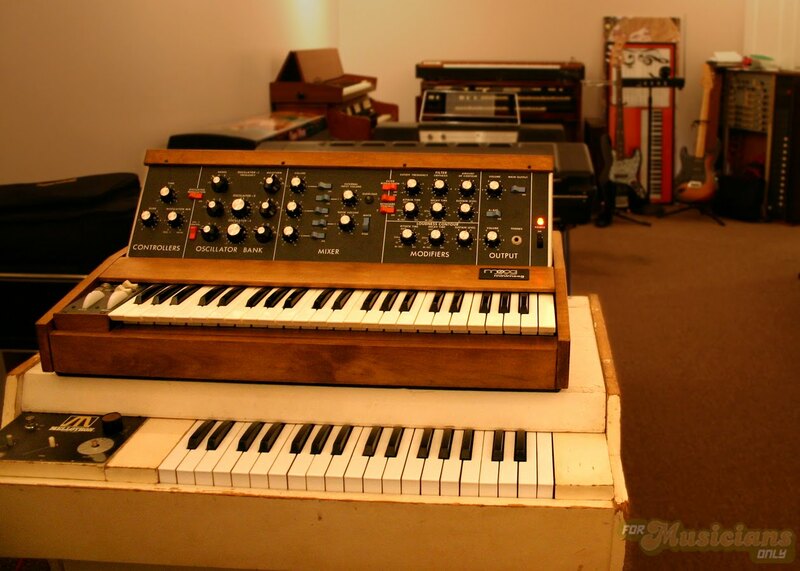 One of the things I was particularly interested in pursuing was doing custom work and modifications on vintage keyboards and synthesizers. One of my favorite projects has been hot-rodding a 1971 Fender Rhodes Stage 73 electric piano, which you can see above. I've named it the Dream Weaver (after the song by Gary Wright). I also had new custom cases made for my Rhodes Chroma and Rhodes Chroma Expander made of exotic figured Bubinga wood (see below). The Bubinga wood Rhodes Chroma and Expander cases were made for me by Wes Taggart of Analogics. I have to say, I was really pleased with how they turned out. 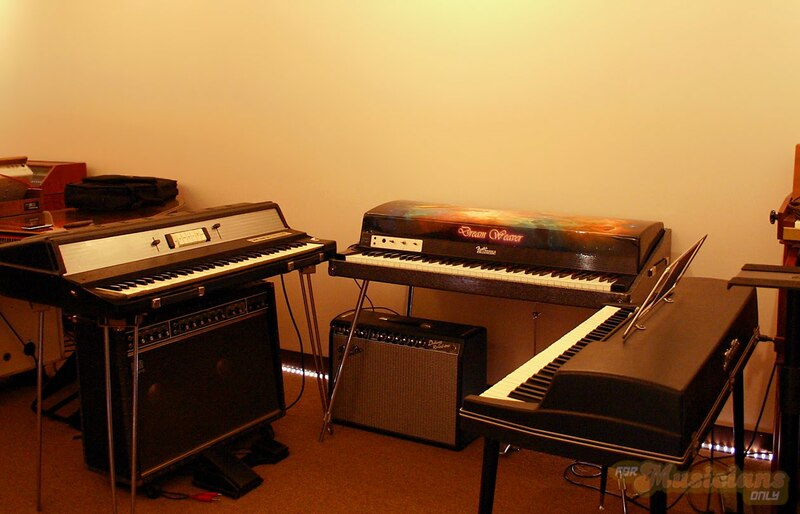 Both keyboards also have the PSU and amazing CC+ upgrades available at the RhodesChroma.com website. 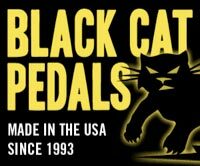 We're just scratching the surface, there's a ton more info about our vintage keyboard and synthesizer escapades to come. I wanted the studio to have it's own virtual home and individual identity, so we're going to be posting all of that info on our new website: VintageKeyboardStudio.com. The website is a work in progress. I got the domain set up, and Keyboard Mike has been working on the content for the past week or so. I originally intended for us to use some kind of Content Management System, but Mike suggested starting with a blog format to develop some of the concepts and material. There's definitely no shortage of material either. The website in its current state is just a taste of what's in store. 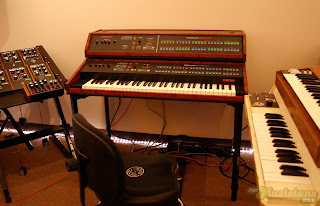 One final note - the thing that really prompted the launching of the virtual Vintage Keyboard Studio is the fact that it has officially outgrown its current physical location. 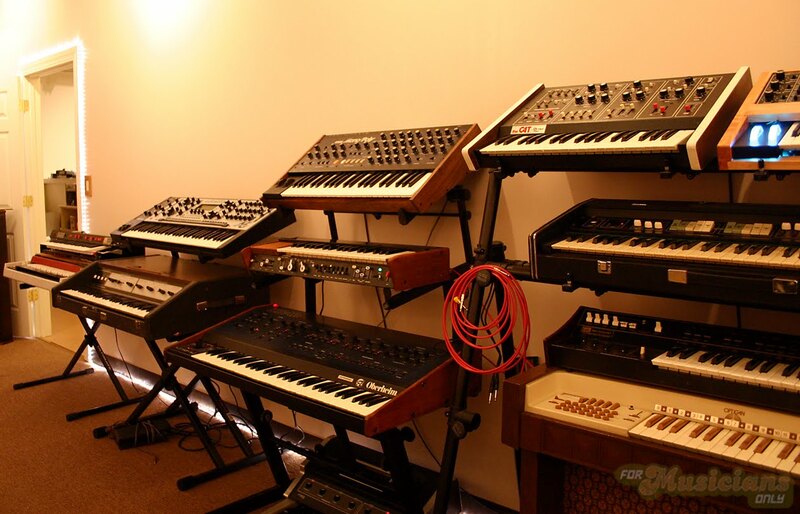 We just can't fit all the cool synth gear in that room in an ideal way. 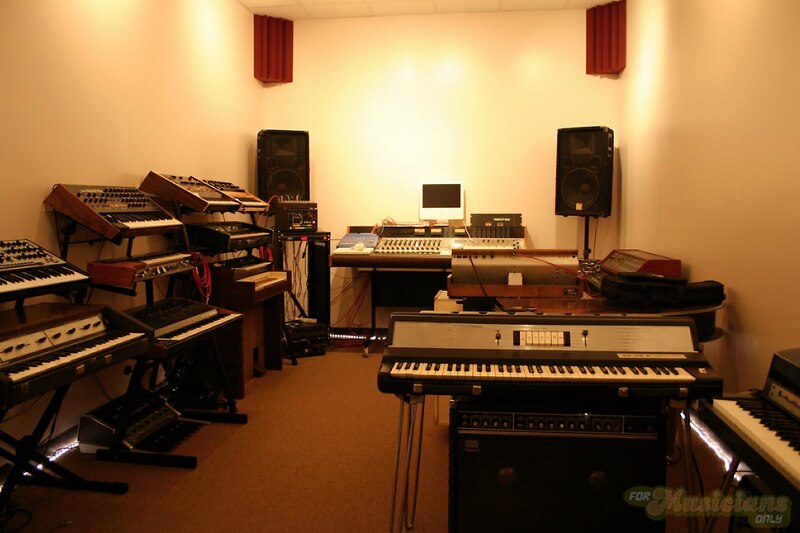 Not only that, but we now need the space for our other projects at the FMO Gear Shop. So... we're looking for a new home. If anyone has any leads on finding a suitable (and roomy) spot in the vicinity of New Haven, CT that's worthy of housing all these cool vintage keys, definitely let us know. Congrats on a great site. Very impressive! Its been a joy to watch this move forward from the inside and I can't wait for the next phase; actual recording!